The sacrifices a soldier makes is often not their lives. It’s their bodies, their minds, their relationships. All so that you and I can be free to discuss things like politics and religion. So that we can wake up every morning and have the freedom to choose what career we will start, what we will teach our children, which grocery store we will choose to frequent. 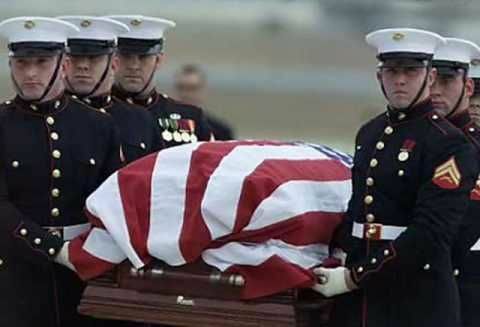 So that we have the freedom to disagree with those in authority, or even to disrespect these soldiers’ very sacrifice. Too many times, though, the sacrifice that is made is their lives. It’s gut-wrenching for me to think about the loss that is endured by the loved ones of a soldier. Knowing that their loss was a gift given, rather than an accident that happened or an illness that was ruthless. It takes my breath away. Some have made this sacrifice anonymously, and without fanfare and honor. The picture above is of the Tomb of the Unknown Soldier at Arlington Cemetery. It is an emotional experience to stand in this place and watch other soldiers guard this resting place so humbly and fervently. To watch the changing of the guards is an experience like none I have ever had. There is honor for their loss, even in anonymity. If you can, you must see it. I’ve been asked about how I would feel if one or both of my sons decided to join a branch of the armed forces, and for me the answer comes immediately. I would be so proud. Don’t get me wrong — I would worry. But these gifts God has given me are not mine. I’m so blessed to be their mom, but they are not mine to keep. They are for me to teach and grow into people who love. People who see that there is more around them than just themselves. People who see that the world is not here for them, but that they are here for the world. If they felt the tug to defend our country and protect our freedoms, it would be an honor to witness their service. They have so much to offer to the world, and it would be so beautiful to see their talents and abilities used in such a noble way. My job is to raise Spartans. Spartans know that there is something bigger than their little world. They understand that there is a cause greater than themselves, and that it is their duty to fight for that — no matter what it is. It could be caring for broken people, loving the unloved and marginalized, leading a family, or simply being a man of character and integrity. And should that cause be the armed forces, I would be so proud. So today, with a knot in my throat and a catch of my breath, thank you veterans for your service, your bravery, your honor, your selflessness, and your sacrifice. I have cousins, uncles, grandparents, and friends who have served. Do you have a loved one who has served? Feel free to honor them here! And be sure to give them a hug today. My dad, father-in-law and husband have all served. I am proud of and grateful to each of them.